Washington, D.C.—American Atheists and the Freedom From Religion Foundation (FFRF) have sent a joint letter to the Defense Department warning against unconstitutional coerced religious observances in the military. 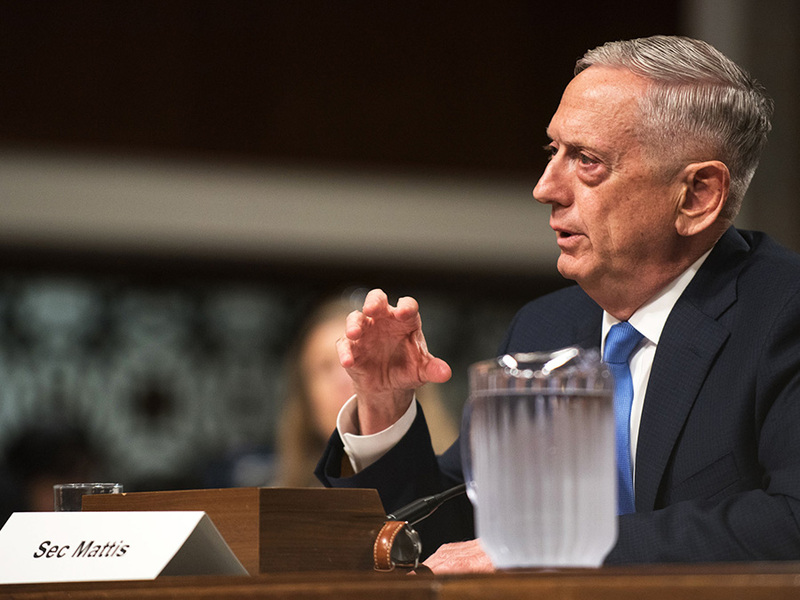 The groups wrote to Secretary of Defense James Mattis that there has been an increase in complaints from military members and their families who have been subjected to forced religious observances while attending military training facilities. After investigating the issue, American Atheists and FFRF concluded that there is an issue of religious favoritism pervading the nation’s military facilities. The complaints received by the groups allege that military training facility administrators regularly include scheduled prayer in graduation ceremonies across the country and that families in attendance are instructed to stand during the delivery of the prayer. Other complaints claim that cadets who opt not to attend worship services on Sundays are instead given menial tasks to perform, and instructors regularly lead recruits in prayers prior to administering tests. By scheduling prayers in graduation ceremonies and leading cadets in prayer prior to examinations, the country’s military training facilities are violating the Establishment Clause of the First Amendment. While military chaplains may provide religious services to those who seek them out, their mission does not include proselytizing or infusing secular ceremonies with the chaplain’s personal religious beliefs. “As national organizations dedicated to protecting the religious liberties enshrined in the First Amendment to the US Constitution, we find rampant religious promotion within the armed services troubling,” wrote FFRF Legal Director Rebecca Markert and American Atheists Legal and Policy Director Alison Gill. The groups also noted that by assigning menial or labor-intensive tasks to cadets who elect not to participate in worship rituals, the facilities are breaching the equal protection principles of the Fifth Amendment by engaging in religious discrimination. American Atheists and FFRF are requesting that the Department of Defense take steps immediately to ensure that these violations do not occur in the future. The groups also ask Mattis to meet with them to discuss the concerns outlined in the letter so that they may work together to find viable solutions. “We as a nation must protect the constitutionally enshrined rights of the men and women defending and sacrificing for our nation to be free from religious coercion and discrimination,” says FFRF Co-President Annie Laurie Gaylor. Kathleen Johnson, vice president and military director of American Atheists and a retired Army first sergeant, agreed. “Our nation’s leadership owes it to the millions of Americans who serve in uniform to ensure that service members aren’t forced to choose between defending our most fundamental rights and exercising their own,” she added. American Atheists and the Freedom From Religion Foundation are national organizations that advocate for the separation of church and state and seek to educate the public on matters relating to atheism and nontheism.